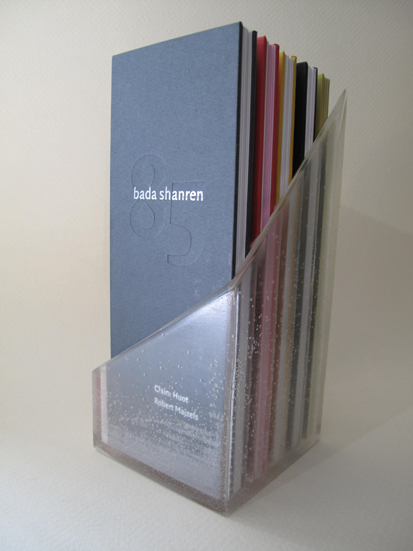 The 85 project is now available in a limited edition set of five stunning volumes. For more information and to order your copy: The 85 Book . The “85” project is a poetic multi-media investigation into the reception of the Chinese language and culture into English. The operation involves several transfers: from the original Chinese text into a literal character-for-word translation, then into 85 English letters, and into a visual poem. The visual poem is subsequently read aloud, and that reading is videotaped. Readers struggle to assemble words and phrases, creating if only for a moment the strange experience of speaking another culture. Concomitantly, the potential of reading English is unlocked by the permutation of letters. The reader of an 85 becomes a writer who manipulates language in its materiality. Five colours of silk threads were used. 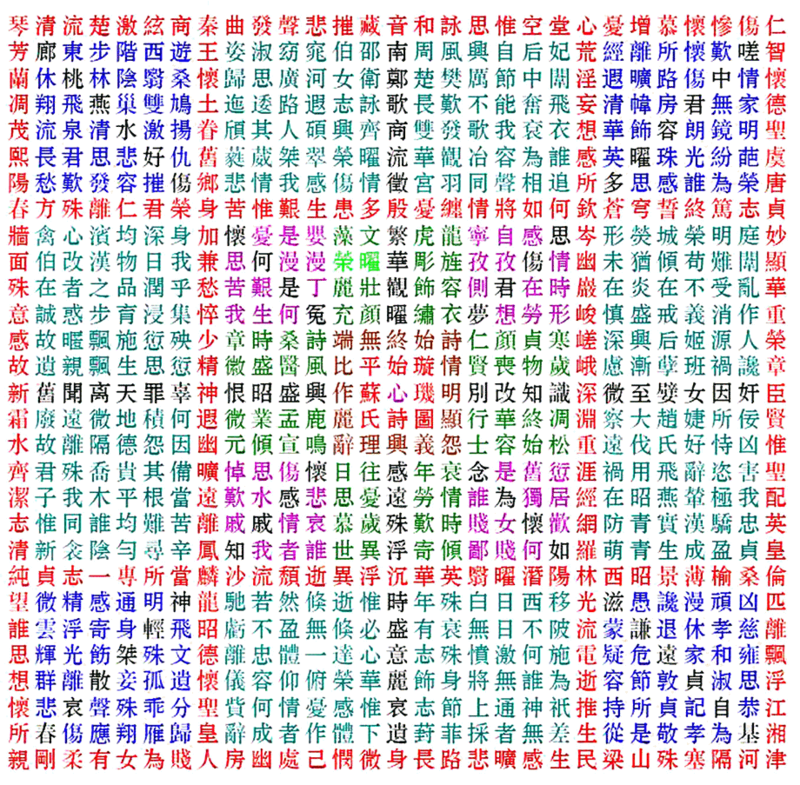 The poem contains 841 Chinese characters: there are 29 lines horizontally and vertically (hence 29 x 29 = 841) and you can read in any which way, it always makes a poem. The poems can be 3, 5, or 7 characters. This poem created a sensation in China, from her time onward. The Tang empress Wu Zetian, herself a poet, made some 200 poems out of Su Hui's creation. In the Song Dynasty, one scholar said there were 10 diagrams in there and he could decipher 3,752. In the Ming Dynasty, books came out about how to read this. Another scholar in the Ming Dynasty said there were 12 ways of reading this and you could get 4,206 poems of 5, 6 or 7 characters. Su Hui conceived of and then embroidered this "map" for her husband who was in another city and who had fallen for another woman. She had the “Xuanji Tu” sent to him. The husband understood her meaning, had her brought to him and they spent the rest of their lives together.